Beautiful seascape. Calm sea. Endless Ocean. 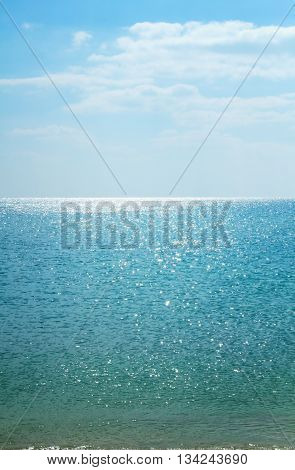 Calm sea vertical background. Sunny day at sea. Sky and sea.